since my first small run of “They Live” inspired figures were so popular, I’ve decided to release another run of them. this will be the last time I release this figure in these two colorways. I’ll continue using the head, just not in these colors. so, I’ll be taking preorders sept 17th at noon central until september 30 or until the run number is reached. all orders will come bagged with a header card and will start shipping October 1st. I’ve added some leftovers from my April show to the shop. 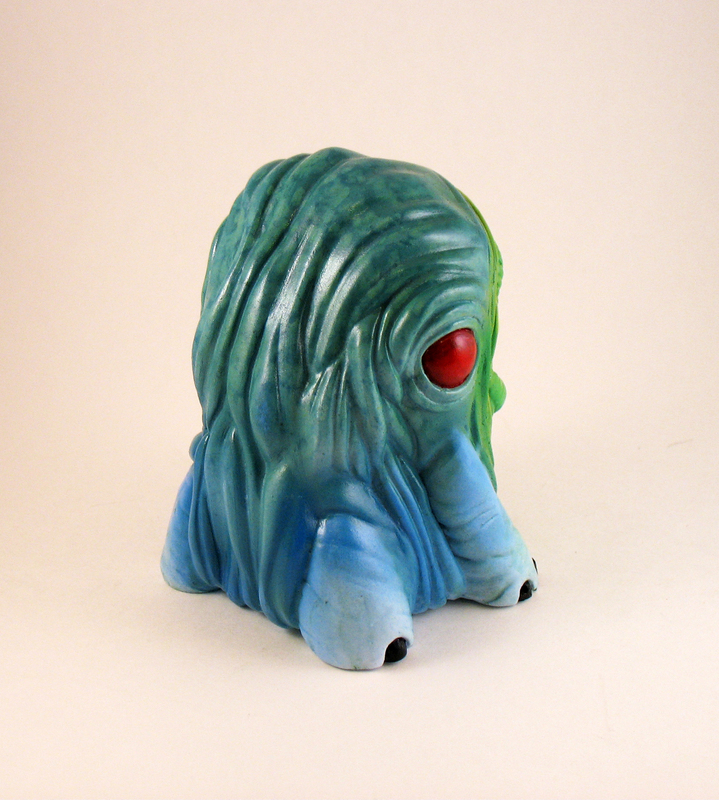 so of you couldn’t make it down to Florida you still have a chance to grab some tasty resin. since i’m working with resin i decided i needed to find some new paint. one goal i had when making the switch to resin was eliminating the need for priming each piece. priming is tedious, and since resin can be tinted i really wanted to do away with that whole step. 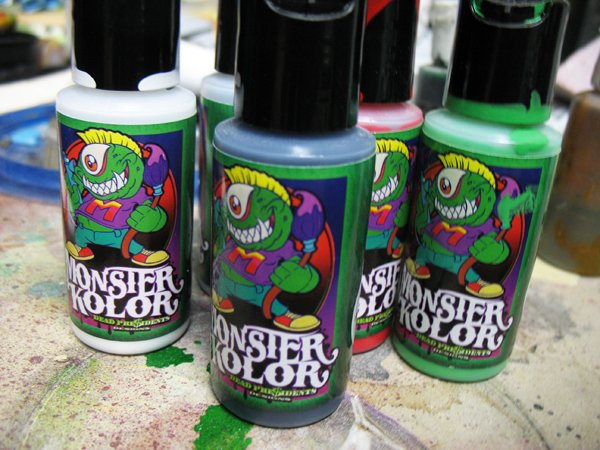 i had seen a decent amount of press about monster kolor, and i knew it could be applied directly to resin. so i pulled the trigger and bought the 1oz 10 pack. each bottle comes out to around $5 which is what i was paying for decent acrylic airbrush paint. when it showed up i wasn’t sure about it. i’ve always used acrylic and have frankly been afraid of gumming up my airbrush with enamel. that’s one reason i’ve never tried vcolor. it always seemed just complicated enough to not be worth it. monster kolor is not vcolor, it is so much better. there is no mixing involved, it’s ready to go right out of the bottle. it is gnarly though so get a good respirator and paint outside, or at least in the garage. it performs amazingly. it sprays easily, allows for super fine lines and dries instantly. you would have to work to get drips. be sure you clean your airbrush thoroughly with acetone afterward as it will gunk up your brush. in playing with it i’ve found that it works kind of like a primer. you can paint finer details with acrylic on top of the monster kolor. word is there is also a brushable version being tested right now for those who don’t have an airbrush. now, the most amazing thing about monster kolor is the clear coat. it’s a two part system. you mix the clear coat with activator, apply and then let dry for 24 hours. you can get an insane gloss with this stuff. when it dries its like a thick varnish, so your paint is well protected from bumps and dings. i think it’s as close to a factory finish as you are going to get on handpainted toys. i was given a sample of the satin finish too, and i love it. it has the same sheen as the krylon satin that i’ve been using for years now. so if you don’t want a crazy candy gloss you can opt for the satin , once it becomes avaialble. the first official release will take place next week. 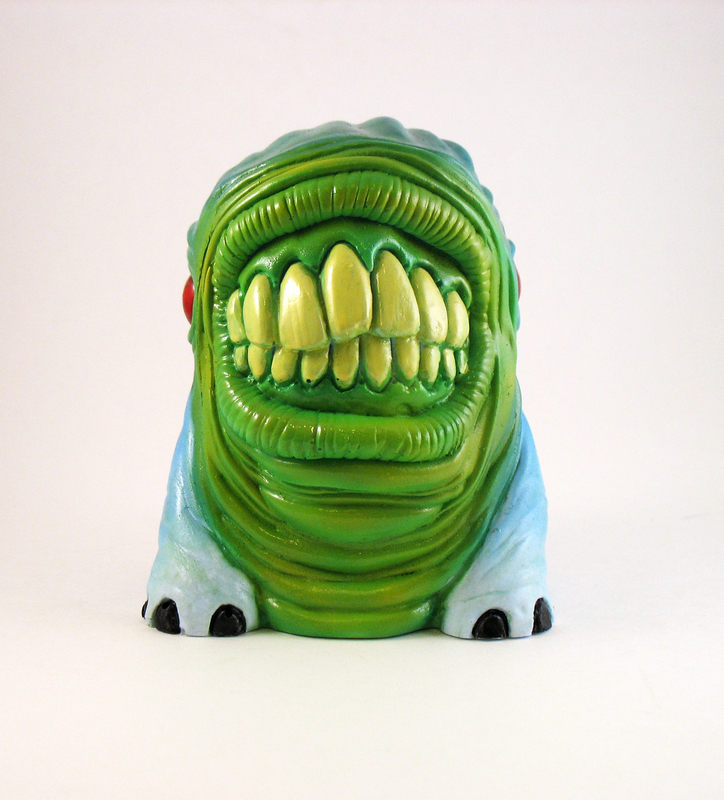 it will be based on the bumble one-off that was at the super7 show. a handful of people had their eyes on it so I decided to release it. the colors will be slightly different and I’ll post a picture of the final colorway before the release. no definite edition size yet, but it will be between 10 and 20 pieces. price is $30 plus $5 for domestic postage. once I have the sample painted I’ll post the time and date of the release. The show is only a couple of days away so I thought I’d give you a peek. 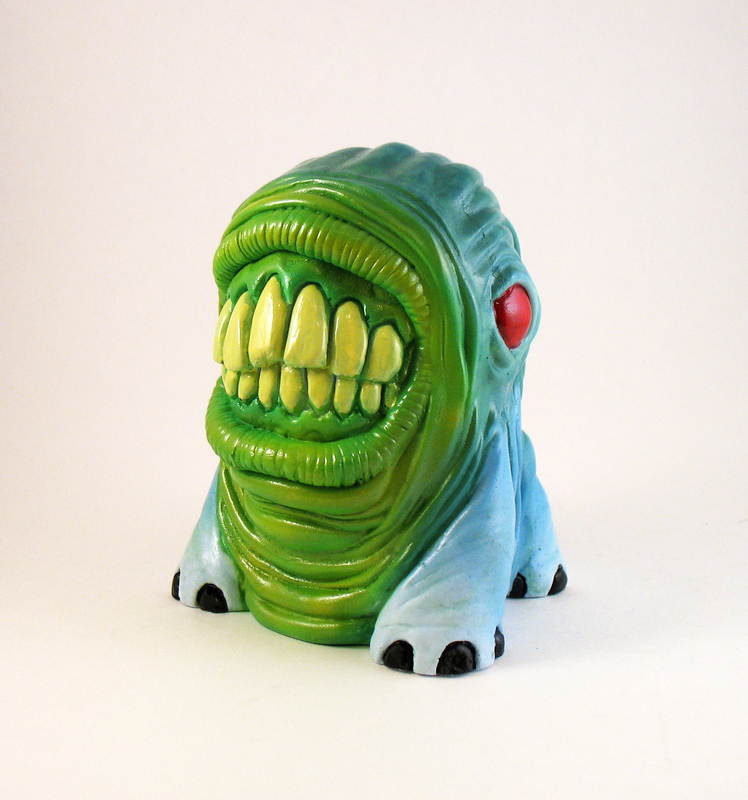 Peeks have already been posted on toysrevil and spankystokes as well as on my flickr.